The above topics were among those discussed at this year’s #AfricaFinanceForum, hosted by the Corporate Council on Africa. The annual event featured high-level speakers, such as Rhoda Weeks-Brown, IMF General Counsel, who pointed to increased expected economic growth rates of 3.5% in 2019 (half a point higher than in 2018) and a faster per-capita income rise in Africa than in rest of the world. “Also up for debate was the dichotomy of investment vs. development assistance as the key driver of economic development on the continent,” notes Andreas Stargard, who attended on behalf of Primerio Ltd.
Kalidou Gadio, a lawyer at Manatt, provided a sanguine assessment of the state of banking in Africa, noting that it is not up to par globally, but better than it was a decade ago, before and during the financial crisis. He also pointed to the net positive effect of banks facing increasing competition from newcomers to the space, such as Orange, M-Pesa and other telecom firms. Dr. Maxwell Opoku-Afari, First Deputy Governor of the national Bank of Ghana observed the difficulties in setting proper licensing rules for fintech companies by central banks, and commented on the concentration risk in banking. Phumzile Langeni, special investment envoy of the RSA, gave an objective speech on the investment opportunities in South Africa, including the President’s FDI incentive programme. She answered difficult questions with aplomb — for example those about the country’s land reforms, infrastructure troubles, and unemployment — and spoke of the enormous growth potential and the “youth dividend” in South Africa and the continent in general. The half-day event was rounded out by a panel focussed on central banks’ handling of the unique foreign-exchange problems faced by certain African nations, notably Mozambique and Angola, whose central banks had representatives on the panel, including the issues of ForEx reserve allocation and pegged rates. On 06 May 2015, the Competition Commission of Mauritius (“CCM”) identified the potential restrictive business practice which may exist between The Western Union Company (“Western Union”) and MoneyGram International Inc (“MoneyGram”) as a result of exclusive agreements (“Agreements”) put in place between the two companies. The Agreements are purportedly entered into separately between the two companies and certain agents, which in turn, potentially prohibit the Agents from supplying competing services to their clients (the Agreements are not entered into between the two firms themselves, and thus do not constitute horizontal agreements) . These Agreements could have the further anti-competitive effect of creating a barrier to entry and possible foreclosure effects. The CCM has indicated that they have not reached a conclusion yet as to whether these Agreements are in fact anti-competitive. It will also have to be seen whether there are any efficiency arguments would could possible justify such an exclusionary act (if the conduct does in fact breach any provision of the Competition Act, 2007 (the “Act”)). As far as potential remedies are concerned, the conduct mentioned above could potentially fall under one of two main categories. The CCM could either view the Agreements as constituting “Other restrictive agreements” and/or “Monopoly situations” in terms of Section 45 or 46 of the Act, respectively. A monopoly will be deemed to exist, in terms of the Act, if one enterprise provides at least 30% of the goods or services on the relevant market or, 70% of the goods or services on the relevant market are provided by 3 or fewer enterprises. As far for the possible penalties and/or remedies that may be imposed for breaching either Section 45 or 46, no financial penalties may be imposed by the CCM for violations of these two sections. Thus, in terms of the Act, the only type of vertical conduct which could lead to a financial penalty being imposed, is what is commonly known as ‘minimum price resale maintenance’. Thus, unlike many other African countries such as South Africa, a company who abuses its dominant position will not be exposed to financial liability, despite such conduct having substantial anti-competitive effects (provided such a company does not engage in horizontal agreements, bid-rigging or collusion or minimum resale agreements). An infringement relating to Section 45 or 46 could only result in the CCM issuing directives, which have as their purpose, the objective of restoring competition in the market, and are not to be seen as being punitive in nature. Tech antitrust news: disrupting M-Pesa mobile payment monopoly? cashless NFC mandatory? Perhaps they don’t realise it themselves, but the journalists at ITWeb Africa have written antitrust/competition law strories in three of their recent reports, covering the rapidly growing and lucrative tech world in Africa: their stories range (in antitrust terms) from collective dominance in Africa’s tech sphere, to a challenger’s new entry in mobile payments, to a mandatory government-backed mobile NFC system for Kenyan transit commuters that allegedly causes more consumer harm than benefit by going cashless and giving the spoils all to one monopolist. We take each in turn. Disruption to M-Pesa’s mobile payment crown? Equity Bank is about to join Airtel’s challenge to the leading position of Safaricom Limited’s M-Pesa service (on which AAT has written extensively before). The magazine reports that an ultra-thin SIM card technology and the Kenyan bank have reached a pact that will allow them to compete with M-Pesa’s service, on top of existing user SIM cards. The new technology of a “stick-on” slim-SIM card allows the user “to execute mobile banking transactions, releasing the bank from the limitations of a telco-issued banking SIM.” Safaricom had previously complained to the authority, arguing that PIN theft and denial of service are real risks that counsel against use of new SIMs. In other related news, second M-Pesa challenger Airtel has secured a contract with the Kenyan Revenue Service that allows Kenyan citizens to pay their taxes using Airtel’s mobile money service. The cashless economy: is the imminent Kenyan My1963 NFC payment system anti-competitive? no competitive bidding process: the body alleges that, due to politicians’ ties to banking and other interests, the correct process for entertaining competitive bids was not followed in accordance with proper public procurement rules. supra-competitive (monopolistic) pricing: an “exorbitant” 3% commission is being charged by the service provider of the system, as agreed between the Kenyan National Transport Safety Authority and the banks. Cofek also urges the Competition Authority of Kenya (CAK) to “investigate the #My1963 and entire cashless payment system with a view to finding it uncompetitive, predatory and anti-consumer and market interest” [sic]. Viber, WhatsApp, YouTube: dominant in Africa? WhatsApp is the leading third-party messaging application, Viber has overtaken Skype as the leading VoIP service on several networks and YouTube is the top video streaming app. … on Africa’s mobile networks WhatsApp accounts for 7% of total traffic, while Viber has overtaken Skype as a VoIP service. Streaming video accounts for just over 6% of downstream traffic – significantly lower than North America and Europe where it accounts for more than 30%. WAP Browsing has seen a significant decline in traffic share thanks to increased adoption of smartphones throughout the region [–Ed. : on the latter point, the journal also has an interesting separate piece, discussing the new era of WiFi connectivity in Africa]. Being called “dominant” may be a badge of honor to the sales staff, but it is a dangerous moniker when viewed by the competition-law enforcers through their monopolisation lens. WhatsApp, Viber and YouTube (whose parent is, of course, the already dominant Google) may therefore have to begin thinking about treading more lightly in terms of their dealings with competitors on the African continent, lest they wish to prompt governmental scrutiny from the likes of the South African Competition Commission, the Kenyan Competition Authority, or COMESA’s CCC. The mobile payments sphere, particularly growing in African countries as we reported previously, is abuzz with news that a competition regulator has now expressly subjected Safaricom (a prominent Kenyan operator) to oversight by the country’s Central Banking authority. It also cements the (already preemptively and unilaterally undertaken) commitment by M-Pesa to remove the exclusivity provision that previously requred its 85 thousand network members to operate exclusively on the Safaricom mobile-payment network. (d) that each Mobile Money Service Provider be responsible for ensuring compliance with Central Bank of Kenya Regulations. Dated the 22nd September, 2014. A settlement between the Competition Authority of Kenya and Safaricom leaves M-Pesa agents free to work with rival mobile money providers. An announcement, made in the Kenya Gazette, follows a CAK investigation into an alleged infringement by the operator under the country’s Competition Act. Back in July, the watchdog said all restrictive clauses in agreements between Safaricom and its agents must be expunged no later than 18 July (actually the operator pre-emptively removed exclusivity ahead of the CAK’s decision). Safaricom offers a product named “M-Pesa” to its customers in Kenya and Tanzania. M-Pesa is a mobile-phone based money transfer and micro-financing service, launched in 2007 for Safaricom and Vodacom, the two largest mobile network operators in Kenya and Tanzania. The service enables its users to deposit and withdraw money, transfer money to other users and non-users, pay bills, purchase airtime and transfer money between the service and, in Kenya, a bank account. Users of M-Pesa are charged a service fee for sending and withdrawing money. By 2010, M-Pesa became the most successful mobile-phone-based financial service in the developing world. In light of the imminent launch of the Airtel product, Airtel has lodged a complaint with the Competition Authority of Kenya on the basis that Safaricom currently holds 78% of the voice market in Kenya, 96% of the short message service market and 74% of the mobile data market. In addition, Airtel is of the view that these market shares make it impossible for Kenyan consumers to have a choice in operators. By 2012, 17 million M-Pesa accounts were registered in Kenya alone, which has a population of over 40 million. There are a total of approximately 31 million mobile-phone subscriptions in Kenya in 2013, of which Safaricom accounted for 68%, Airtel 17%, Essar Group’s “yuMobile” 9% and Telkom Kenya Limited 7%. Airtel Networks Kenya Limited (“Airtel”) has joined forces with Kenya-based Equity Bank to launch a similar mobile banking product, M-KESHO in July 2014 to the established product provided by Safaricom Limited (“Safaricom”). However, Safaricom has indicated that cash transfers still account for 98% of the total transactions in Kenya and therefore it is impossible for any mobile-money entity to be a dominant player in the payments market. The Competition Authority of Kenya has identified telecommunications as one of several markets being scrutinised by the Competition Authority for possible abuses of dominance. This probe is expected to reach completion by July 2014. Kenya is quite clearly pushing on in relation to significant cases in sectors which affect the majority of the population, as discussed in the overview of maturing African competition regimes published last week. However, it is noteworthy that in April 2014, Kenya’s telecommunications regulator granted approval for Safaricom and Airtel to buy Essar Group’s “yuMobile” and it is considering awarding licenses for at least three more telecommunications companies. Orange SA has indicated that its operations may exit the Kenyan market, where it owns 70 percent of Telkom Kenya (which in turn accounts for 7% of the mobile phone subscriptions in Kenya). In February, AAT launched its multi-part series on innovation & antitrust as a thematic collection focusing on the concept of innovation markets and how competition and IP laws are able to address the, by definition, novel issues that arise. 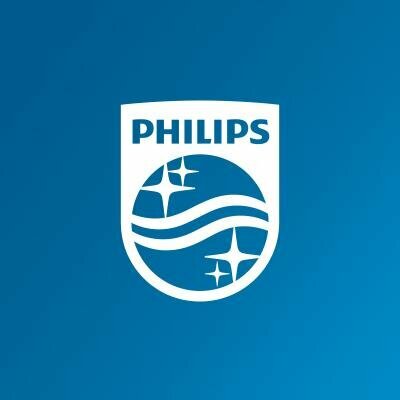 Recently, and timely so, Philips has joined this debate. Even more pertinent, Mr. van Houten not only recognizes the crucial forward-looking importance of innovation. Unlike many Western corporate leaders, he positively links it with the economic growth prospects of Africa. In an insightful piece entitled “How Africa’s innovation will change the world” (published on the Davos World Economic Forum blog), Mr. van Houten discusses the promises, challenges, and realities of African innovation and resulting economic growth. Seven years ago, millions of Kenyans were struggling to access basic financial services such as a bank account; they were unable to transfer money or receive microcredit. Then, a locally developed mobile payment system called M-Pesa [see AAT coverage here; — Ed.] radically changed everything. Today, more than two-thirds of Kenya’s population uses M-Pesa to make and receive payments and an estimated 43% of the country’s GDP flows through the system. This is transforming life in the country, increasing income in rural households and spawning a range of start-ups. This speedy adoption of mobile payments captures the enterprising spirit of African innovation. It reflects the resourcefulness with which people in Africa find local solutions to local issues. It also shows how Africa’s challenges are opportunities in disguise and how the continent can bypass development stages without paying for their replacement. Mobile phones, for example, were rapidly adopted in Africa because of the lack of fixed telecom infrastructure. And solar panels are being adopted faster than in other parts of the world, because kerosene is so expensive that the payback time for investments in solar power is months rather than years. Healthcare is another exciting area. According to a report from the World Economic Forum, Africa faces 28% of the global disease burden with only 3% of the world’s healthcare workforce. In response, Africa is adopting new operating models and technologies. By training health extension workers to focus on education, family planning and sanitation, Ethiopia achieved a 32% drop in child mortality and 38% drop in maternal mortality. In Kenya, e-learning has taught 12,000 nurses how to treat major diseases such as HIV and malaria, compared to the 100 nurses a year that can be taught in a classroom. Africa is also embracing new business models that tap into the vitality of the country’s communities. Philips, for example, teamed up with Inyenyeri, a Rwandan NGO, to give families access to an innovative cookstove. Crucially, the cookstove is given away for free and families pay for the stove by harvesting twigs, leaves and grass. This biomass is compressed into fuel pellets, half of which are returned to the family for personal use and half of which are sold by the NGO. The cookstove is produced in Africa, highly energy efficient and, because it is smoke free, significantly healthier. This example also shows the power of partnerships, without which many African innovations would not come to fruition. Solar-powered light centres, for example, increase the social activity and productivity of communities by generating light after sundown. These communities, however, are often unable to invest in a light centre, so this technology is rolled out through NGOs and governments. Sometimes these light centres are used to power medical equipment such as an ultrasound, or refrigerators that store vaccines. This type of cooperation ensures that innovation generates both financial and social value. The complexity of Africa’s challenges also requires a multidisciplinary approach to innovation. Kenya, for example, is investing in systems that encourage open innovation. This sees local universities and small and medium enterprises join forces with NGOs, governmental organizations and foreign multinationals such as IBM and Philips, which have set up regional research and innovation centres in Nairobi. Nairobi is also home to iHub, a booming community of local entrepreneurs, investors and some of the world’s leading technology firms. For innovation to really succeed in Africa, other factors need to be addressed, too. There is a lack of prototyping equipment and workshops, so local innovators depend on Europe or China, making the process costly and cumbersome. And while there are good patent laws in place, there are still too many counterfeit versions of successful products. Also, international firms should source locally and work with local distributors, whenever possible. And governments should focus their development money on stimulating entrepreneurship and innovation. While in Africa millions of people still live on less than $2.50 a day, the continent looks set to have a brighter future thanks to local solutions for finance, healthcare and energy that could become globally relevant. M-Pesa, for example, has already been rolled out in other African countries, India, Afghanistan and Eastern Europe. Perhaps sooner than we think, African innovations will help the rest of the world create lasting social and economic value. Nairobi, Kenya – Royal Philips (NYSE: PHG, AEX: PHIA) today announced the establishment of its Africa Innovation Hub in Nairobi, Kenya, which underlines the company’s commitment to invest in Africa. The Philips Africa Innovation Hub will work both on the creation of new inventions, as well as bringing these inventions to the market. The Philips Africa Innovation Hub will do application-focused scientific and user studies to address key challenges like improving access to lighting and affordable healthcare as well as developing innovations to meet the aspirational needs of the rising middle class in Africa. The Philips Africa Innovation Hub will be located at the Philips East African Headquarters in Nairobi, where African talents and international researchers will operate on the concept of “open innovation” and will work in close collaboration with the R&D ecosystem of Kenya and Africa. Philips is in discussions with local organizations and Universities on R&D collaborations to co-create meaningful solutions for Africa. “We welcome the establishment of Philips’ Innovation Hub in Kenya; Philips is a globally recognized innovation powerhouse and their selection of Nairobi as the site to establish their African Innovation hub is a testament to the Kenyan government’s commitment to nurture the drive for research and innovation in the region”, says, Hon’ble Adan Mohammed, Cabinet Secretary for Industrialization. “We lend our full support to the investment being made by Philips and look forward to the outcomes of their Africa-specific research and projects that can contribute to transforming society, business and government across the continent”. Respiratory rate Monitor to support pneumonia diagnosis: Pneumonia is the leading cause of death among children under the age of five, resulting in 1.1 million deaths worldwide annually¹. Of these, 99% of deaths occur in developing countries in low-resource settings, which typically entail rural areas with very limited or poor healthcare facilities or with low-skilled health workers. The current diagnostic tools in such settings are not easy to use, can easily distract the workers from an accurate conclusion, and thus lead to a poor diagnosis. The Innovation hub is working on the development and clinical testing of a robust and affordable Automated Respiratory Rate Monitor that aims to support the diagnosis of pneumonia among infants and children, using smart sensing technology on the body which is intended to be more accurate and reliable compared to manual processes being currently observed. This device will be specially designed for use by community health workers and nurses in rural areas. In Kenya, discussions are on with the Kenya Medical Research Institute (KEMRI) to further develop this project and co-create an effective solution tailored to circumstances in rural Africa. Community care services: The development and testing of a work-flow innovation designed to reduce the number of avoidable maternal and child deaths. The purpose of the workflow is to enable remote area health centers to diagnose, triage, treat, stabilize and (prepare for) transport expectant mothers that come in for a check-up and treatment. Smokeless cook stove: Philips has designed and is manufacturing this innovative stove to improve the lives of those who rely on wood or biomass for their daily cooking. These specially designed stoves are extremely efficient and significantly reduce the use of wood as fuel. The cook stove can reduce smoke and carbon monoxide emissions by more than 90% compared to an open fire² thus reducing the health risks of indoor cooking. The contribution of the innovation hub is to create new go-to-market models for these stoves. Consumer solar solutions: Today an estimated 560 million Africans live without electricity; Philips is committed to improving access to lighting in Africa, for the majority of the population that lives in off-grid communities. The Innovation hub is designing and developing new consumer products using the combination of solar power and energy efficient LED technology. New go-to-market models are also being established to ensure these solutions become accessible to people that would not be able to afford them otherwise. The Philips Africa Innovation Hub while headquartered in Kenya, will be responsible for pan-African research and projects and will have operations across Africa, linked to the Philips regional offices across the continent; the hub will be headed by Dr. Maarten van Herpen and will work in close collaboration with the Philips research labs in Bangalore, Shanghai and Eindhoven. ² Reference source: Water boiling test version 4.2.2 done at accredited stove laboratory, Aprovecho Research Center, Oregon, USA. In October, the Financial Times will be hosting a timely “FT-Live” London symposium on investment in Africa. The Oct. 6th FT Africa Summit (agenda) is expected to draw a global audience from various industry sectors, limited to 150 attendees. The continent’s economic growth is the second fastest in the world, underpinned by a virtuous cycle of improved governance, Chinese-led investments in infrastructure, high commodities prices, and the growth of a nascent, even if fragile, middle class. Yet, risks abound, from rising inequality to the potential of setbacks in governance. The inaugural FT Africa Summit will provide a global platform to hear and discuss the views of finance ministers, investors and businesses leaders from around the region. Altogether the first Summit and the special report will be a unique opportunity to gain insights into one of the world’s most exciting markets. Today’s edition also reports, fittingly, that large-scale investors (such as Atlas Mara’s head and former Barclays CEO Bob Diamond) are looking increasingly to the African continent for high-growth financial investment opportunities. Diamond is reported to have raised $1/3 billion for his “African war chest” of Atlas Mara to invest in African bank acquisitions, and is said to plan another $400m round of fund-raising later this year. As the FT points out, the growth potential for financial services in sub-Saharan Africa is theoretically immense, as the majority of the region’s 1-billion-plus population does not yet have bank accounts. However — and the FT omits this crucial fact — as we reported elsewhere, the dearth of access to brick-and-mortar banks in Africa has led to the pioneering use of GSM mobile technology, such as M-Pesa, for retail financial transactions at a record-setting adoption rate in Africa; see our M-Pesa reporting and other stories. More or less competition in African mobile payments sector? As we reported last month, the mobile payments sector is going gangbusters on the African continent. Kenya is ahead of the game, but other countries are closing in. What triggered the article is the release of the MEF-Africa report on mobile payments on the continent, which provides much of the content of the Business Tech piece. One of the key developments highlighted is that M-Pesa’s platform may soon see a major upgrade in South Africa (where it is run by Vocadom and Nedbank), according to the article, linking the system directly with the brick-and-mortar banks’ platforms. This may either (1) cement the relative market dominance of M-Pesa or (2) spur further innovation and enhance the overall competitiveness of the still rather young industry. See PDF reprint of this article (published by “e-competitions“) here. According to a release by the Kenyan Communications Commission (CCK), the CCK is cooperating with the country’s Competition Authority (CAK) to enhance the mobile telecoms sector in Kenya. The CCK is aiming for 90% of all Kenyans to have access to mobile communications devices within five years, thereby seeking to double the telecoms sector’s contribution to the country’s GDP to a total of 5%. It is noteworthy that Kenya – a comparatively technologically advanced East African nation that currently already has 76% mobile penetration among its residents – is not only relying on the telecom authority to achieve these goals, but the agency is actively collaborating with the competition watchdog CAK. An article in HumanIPO quotes the CCK director general, Francis Wangusi, as saying: “We are working with the Competition Authority to ensure that all the mobile money transfer platforms are transparent in order to promote competition.” The official CCK press release is available here. Other interesting statistics are the planned increase in internet penetration from the current 41.6% to 70% and that of mobile money services from 58.9% to 70% by the end of the 5-year plan. Use of a mobile device such as a cell phone with SMS or internet capability is particularly widespread in many African countries, where brick-and-mortar banks are scarce and not widely used by the vast majority of the population, whereas mobile phones are omnipresent and relatively easily accessible (see the 76% current penetration rate, which rivals that of developed European economies). Kenya itself is considered by many to be at the forefront of the African mobile-payments universe, with its M-Pesa mobile-currency system often touted as the most developed mobile-payment system in the world. The Economist asked rhetorically: “Why does Kenya lead the world in mobile money?”, pointing out that roughly 25% of Kenya’s GDP flows through the mobile service, with over 17 million users in Kenya alone. The WorldBank has commented that “Mobile payments go viral [with] M-PESA in Kenya.” M-Pesa was originally launched in March 2007 by Vodacom/Safaricom in Kenya and is now jointly operated with other carriers offering services in Tanzania, South Africa, Afghanistan, India and other nations.